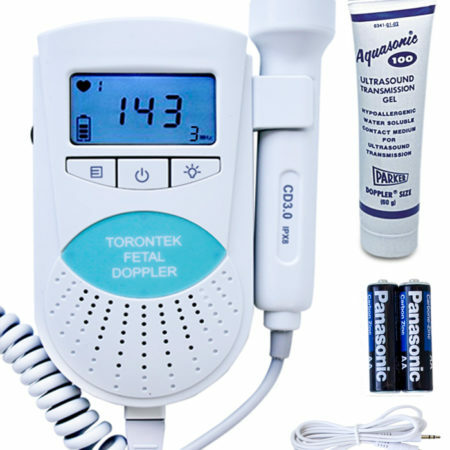 The Torontek-R88 Fetal Doppler is the perfect doppler for any mother who wants to be able to monitor her baby’s FHR quickly and easily at the comfort of their own home. This fetal doppler is suitable to use after the 12th week of pregnancy and in many instances even earlier. 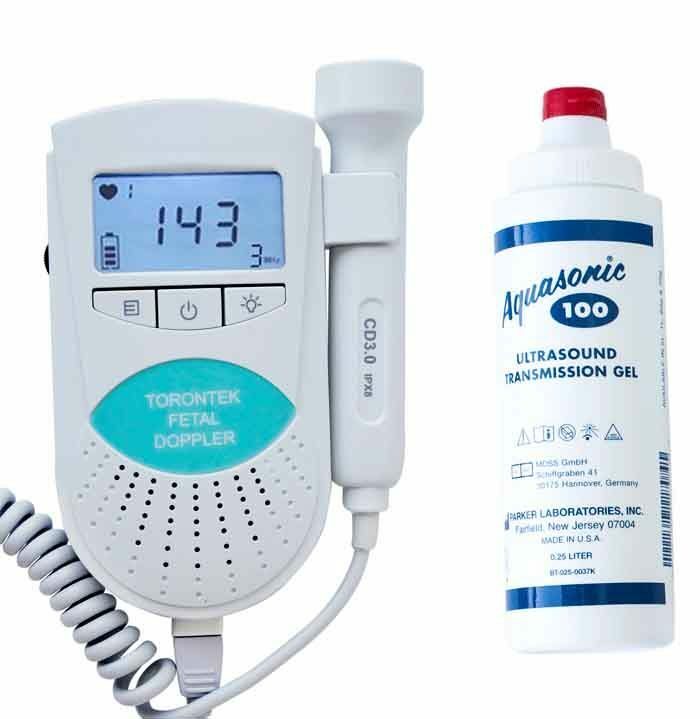 Torontek-R88 Fetal Doppler includes a recording cable, headphones socket and a built-in loudspeaker, it is also equipped with a water-proof 3MHz probe to get a better sounds of the baby’s FHR. With its ultra-light, compact design, the Torontek R88 is easy to carry around and can be used anywhere you go. Operated with 2 AA batteries, it offers over 10 hours of autonomy for even greater flexibility. Trusted by Canadian doctors, nurses, midwives and parents for its high precision, and beloved for the quality of sound with reduced static, the Torontek R88 fetal monitor is at the cutting edge of fetal heart monitoring technology. Use it as soon as the 12th week of pregnancy to enjoy a blissful and serene time until baby’s arrival. This product comes with a 250 ml up-sized bottle of Aquasonic gel tube enhancing the sound transmission quality. Enough to last till last trimester. All orders are shipped from a dispatch facility inside Canada and would approximately reach customers in 3-5 business days. 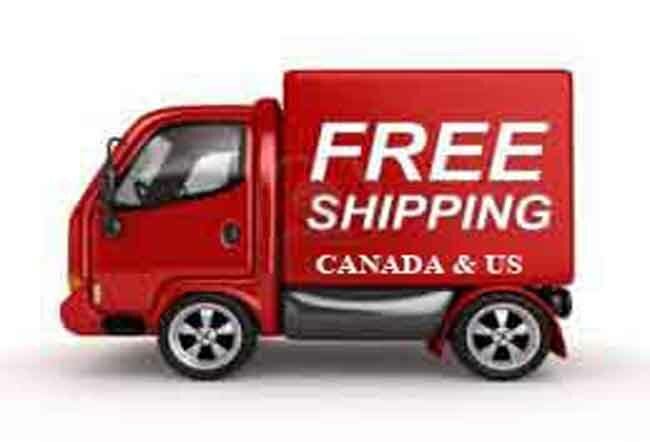 We use CANADA POST Expedited Service. Customers will receive a tracking number when the shipment leaves the facility. The ToronTek-R88 is covered under a one-year comprehensive warranty from the date of purchase. Brilliant!!!! We used this from 9 weeks and could hear our babies heartbeat! It’s amazing! Would highly recommend! We bought this to listen around 18 weeks. Works really well and very easy to use. Sometimes takes a while to find the heartbeat but depending on baby’s position, it can sound swishy or proper thuds. But it always works and helped ease our worries when my wife wasn’t “feeling very pregnant”. I was advised by midwife not to buy a Doppler as they are unreliable and mothers often stress because they can’t find the heartbeat. This was so simple to use and I have so much joy when using it. Used it from 18 weeks and have found a good loud reassuring heartbeat every time!! have been using this one and find it easy and exciting to use.. they are lovely in that you get the thrill of hearing the little galloping horse sound whenever you like..
Money worth it. The best sound you can hear is your babe heart. Very Happy. So happy that I purchased this product it’s perfect to hear your little ones heartbeat anytime you want. Helps dad bond with baby to defiantly recommend. I bought this item to give me piece of mind between seeing my baby at 10 and 18 week scan/feeling baby first move. It doesn’t disappoint, so easy to use and hearing your babies heart beating away is priceless. Exactly what I was after; perfect! Everything as described. I found my baby’s heartbeat at just under 16 weeks. Sometimes it takes a little while but its worth it! The only thing is that it gives no guidance on how often it’s safe to use. From what I’ve seen online the general consensus is not to use too often or for too long, but it’s fine in little bursts. I find it really reassuring and it was great value, so I would definitely recommend it! I am pregnant with our first child and this fetal doppler provide me and my husband a unique bonding experience with the baby before birth. Superb!!! Does as described. Found it straight away at 16weeks and connected it to the computer to record for family. Love this product! Worked far better than expected …gives just as clear a sound as the readers at the hospital. Great to be able to hear baby and record it so I can remember this forever and share it with family and friends. So easy to use! Great value for money, love hearing my unborn baby’s heart beat and hearing him move as well. Great for new mums who worry a lot like me! I got this as I’ve had problems in the past with pregnancies, more to put my mind at ease. I 1st heard the twins at 10weeks which I was shocked by. So it definitely works. The headphones you get with it aren’t very good, but it’s brilliant for the money you pay. This is a really good product to listen to your babies heart beat at home, really pleased with this product. Best Babyshower gift ever. Absolutely recommend it!!!! I had a miscarriage and I was anxious on my second pregnancy. Torontek Doppler has been really handy calming me down and helping me and my husband. definitely worth it. They are going to return the second product very helpful thank you very much. Great product. Yes, I am very happy with it! The heartbeat was heard from 13.5 weeks! Amazing to be able to do. It was so reassuring to be able to check in our baby (girl!!). We love the Doppler we purchased. The entire experience was great  speedy service and delivery, very much appreciated – especially the check up. Customer service is so important and you guys are doing a great job! Great doppler tho havent been successful at finding heart beat yet. I am only 9 weeks so wasnt too discouraged. Product says to use after 12 weeks so hopefully will be able to hear very soon. Ive heard some people hearing it early but ive been known to carry my babies far back towards my back , maybe that plays a factor too. Shipped quick, got in 3 days.